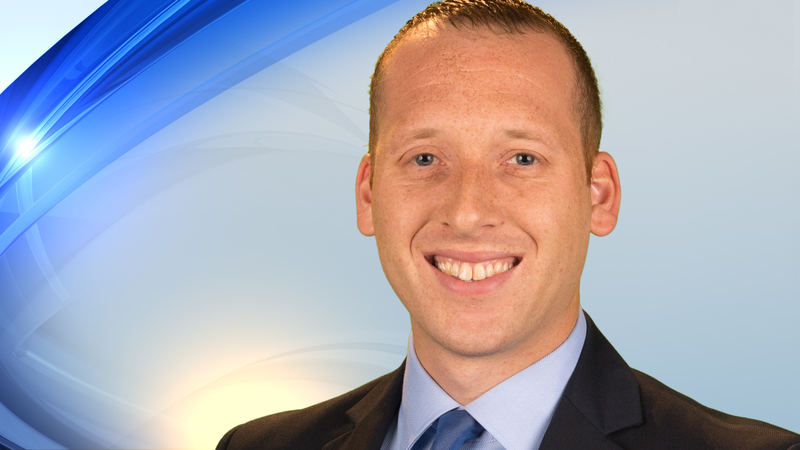 Chris joined KRQE in April 2013 after moving to New Mexico from his home state of Oregon. He was born and raised in Corvallis, Oregon. He graduated from the University of Oregon’s School of Journalism and Communication in 2007 with a degree in broadcast journalism and a certificate in film studies. Chris began his career in journalism in Bend, Oregon as a newscast producer for a start-up news station, KOHD-TV. By 2010, Chris went from producing to reporting, and moved to Roseburg, Oregon, where he was the Douglas County news bureau reporter for KMTR-TV. In 2011, Chris moved to Eugene, Oregon, where he continued reporting for KMTR-TV, covering news across Oregon’s Willamette Valley through March 2013. Chris was the reporter who first initiated the questioning of Albuquerque’s Police Chief as to if he believed the officer involved shooting of James Boyd, a homeless camper in the city’s foothills, was justified. Chris also comprehensively covered budget problems with the Lane County Sheriff’s Office in Oregon that lead to the release of hundreds of inmates from the county jail. In his free time, Chris enjoys exploring Albuquerque’s city and New Mexico’s wilderness, trying new restaurants and learning about the southwest. He’s interested in technology, photography, the film industry, and the brewery scene. He loves cooking and green chile. The continued risk for people crossing Central Avenue in Nob Hill has neighbors and businesses pushing the city for a new fix across the ART bus lanes. Albuquerque city councilors work to tackle neighborhood and problems, and that work is supposed to be part-time—but it has been so overwhelming for one councilor, he wants help. After narrowly avoiding a mistrial, it was prosecutors spending hours Friday trying to prove to the jury that Davon Lymon murdered Albuquerque Police Officer Daniel Webster so he could avoid going back to prison. For the first time, Davon Lymon told his story in open court about why he says he shot Albuquerque Police Officer Daniel Webster. As New Mexico Attorney General's Office was expected to wrap up their case-in-chief Tuesday in the Davon Lymon murder trial, prosecutors are making a last-minute push with the judge to introduce new video evidence. A key witness who had to be arrested to testify in the Davon Lymon murder trial took the stand Monday. The defense in Davon Lymon's murder trial hasn't even started to call witnesses, but prosecutors are already trying to undermine Lymon's expected self-defense argument. A fight over who should be allowed to testify in the Davon Lymon murder trial reemerged in court Thursday.